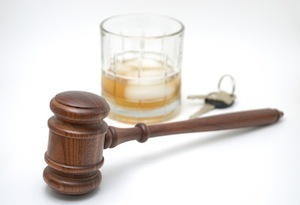 Many people are surprised to learn that after they have been arrested on suspicion of Driving Under the Influence in Glendale, the Glendale DUI Process immediately begins and a driver’s ability to maintain a valid license may be in jeopardy. Understanding the DMV License Suspension rules and procedures is critical, as missing crucial deadlines can result in automatic license suspensions. After a person has been arrested in the Glendale area for a DUI offense, the arresting officer, who may be from the Glendale Police Department, California Highway Patrol, Los Angeles County Sheriff’s Department or any other agency active in the region, will physically take away the arrestee’s California driver’s license. The officer will complete the necessary DMV paperwork, formally known as a DS-367, and provide a copy to the arrested driver. This form is forwarded to the California Department of Motor Vehicles and is the driver’s notice that his or her license will be suspended in 30 days. The driver does have an opportunity to fight the license suspension. To fight the suspension, the driver must proactively request a DMV administrative hearing in writing within ten days of the arrest. The DMV will be provided with the DS-367 as well as the officer’s sworn statement pertaining to the DUI arrest. Drivers who have licenses from states other than California will not have their licenses taken away (although officers often improperly do this). However, these drivers may still have their licenses suspended or revoked as the California DMV reports the incident to other state’s licensing agencies via a national database. Because fighting a license suspension can be difficult, it is critical to retain an effective Glendale DUI attorney as soon after a DUI arrest as possible. The attorney can ensure that the administrative hearing request is properly filed with the DMV. The assistance of an effective attorney is necessary to effectively fight the license suspension. The administrative hearing will be assigned to a hearing officer who is a DMV employee and is not an attorney or a judge. This hearing officer acts as both the prosecution who presents evidence during the hearing and the judge who ultimately decides on the fate of the licensee’s driving privileges. These hearings are governed by specific procedures and laws and it is highly recommended that a driver be represented by a knowledgeable Glendale attorney who is experienced at challenging the DMV. The hearing officer will ultimately either impose or set aside the license suspension. If the suspension is set aside, there will be no loss of driving privileges. If the suspension is imposed, a person who is 21 or older with no prior DUI suspensions would have his or her license suspended for four months. However, after 30 days of not driving the licensee could get a restricted license that would permit him or her to drive to work and back home. A restricted license adds two more months to the suspension and also requires that the driver be registered in an alcohol education program, obtain supplemental insurance (SR-22) and pay the mandatory reinstatement fee. A yearlong license suspension would be imposed on Glendale drivers who have a previous DUI suspension or conviction within the previous 10 years or drivers who refuse chemical testing. Drivers accused of refusing to submit to chemical testing and those who were on probation for a prior DUI when the latest incident occurred would not be eligible at all for a restricted license. Drivers who are not on DUI probation but who do have one prior DUI conviction may be able to get a restricted license after a 90 day hard suspension following a second DUI court conviction. These drivers would have to have an Ignition Interlock Device (“IID”) installed in their vehicle as a prerequisite for the restricted license. Under California Vehicle Code Section 23136 VC , drivers under the age of 21 in Glendale would lose their driving privileges for a full year, without the ability to get a restricted license, if they are found to be driving a motor vehicle with any amount of alcohol in their system. If you or someone you know have been arrested for a DUI offense in Glendale, it is crucial that you meet with an experienced Glendale DUI Lawyer right away. Glendale DUI Attorney Michael Kraut is a former Deputy District Attorney with over 14 years of prosecutorial experience who has successfully protected his clients’ licenses from being suspended. For more information about Glendale DMV and DUI Suspension Codes, and to schedule your free consultation, contactGlendale DUI Lawyer Michael Kraut at the Kraut Law Group located at 450 North Brand Boulevard, Suite 600, Glendale, CA 91203. Mr. Kraut can be reached 24/7 at 818-507-9123.